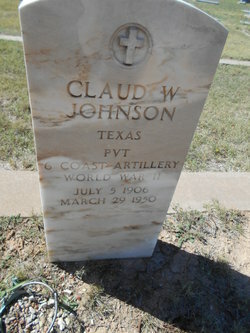 Police Officer Claud Johnson was beaten to death with his handgun after interrupting a burglar. He was on patrol on the court house square when he observed a man trying to break into a store. As Officer Johnson confronted the man his duty weapon was taken him from him and the suspect beat him with it. The man was sentenced to death but had the sentence overturned and was re-sentenced to five years of hard labor in San Angelo, Texas. 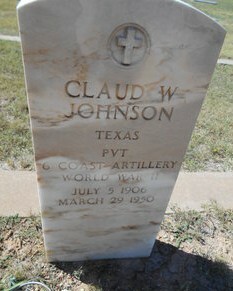 Officer Johnson was a veteran of WWII was survived by his wife and daughter.